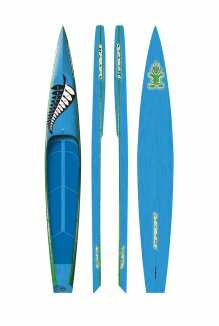 Please show your support for the New Zealand Stand up Paddle (SUP) and Surf SUP Teams to represent New Zealand at the World Stand Up Paddle & Paddleboard Championships (WSUPPC) in Denmark in September, 2017. This is the pinnacle of paddle events and, as in previous years', we are confident we have a team capable of bringing home medals for New Zealand. We just need to get them there!! Our SUP team includes Annabel Anderson (Womens' World #1 since 2012); Pea Strickland (defending her 2016 ISA World Championshps Technical Race Title); former sailer and talented waterman, Marcus Hansen, who placed in the top ten in both his races at the 2016 ISA World Championships; Trevor Tunnington who's been in the top 5 in every race in the current Euro Standup Tour; and Ollie Houghton whose NZ and overseas achievements in his short 17 years is too long to list. Our SUP Surf team includes Sean Hovell who brings a seriously impressive track record in surfing, Surf Lifesaving (16 medals and two NZ titles) and SUP Surfing (3rd at the 2017 Nationals); 15 year old Stella Smith who is NZ's #1 female SUP surfer with a string of impressive achievements including titles at the 2017 SUP Surfing Nationals; and Lucy Te Moananui who has won several SUP surfing titles at the Duke Festival of Surfing and placed 2nd in the National Open SUP Surf Women's Champs. Every member of the team is highly motivated by this opportunity to represent New Zealand with pride, determination and skill. This truly NZ team is drawn from Gisbourne, Kaikoura, Auckland, Queenstown and Whangarei with a number of team members currently competing and/or based overseas. If you are a proud Kiwi and love to see us competing, punching above our weight and winning on the world stage, then please help support YOUR team in this year's ISA World Championships. If you are interested in becoming a partner of the team please contact Rosie Houghton for additional information (021 623 952 or rosie.houghton@harcourts.co.nz). Female SUP team representatives are Annabel Anderson (distance, technical and sprint racing) and Penelope Strickland (distance and technical racing). Male team representatives are Trevor Tunnington (distance and sprint racing and SUP surfing); Marcus Hansen (distance and technical racing); and Ollie Houghton (technical racing). Femaie Surf SUP team representatives are Stella Smith and Lucy Te Moananui. Male Surf SUP team representative is Sean Hovell. The Team Manager is Rosie Houghton. How can I help the team? 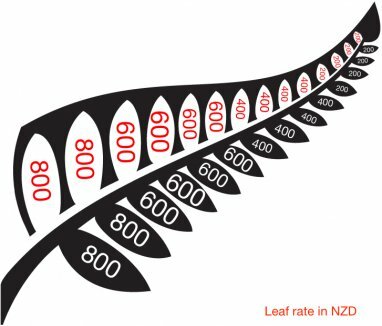 Our nation's fern along with your support will help to inspire and motivate the team as they paddle for victory in Denmark.So secure your very own leaf on the the teams silver fern which will feature on racing equipment inclusive of the board (one metre decal) and paddle. 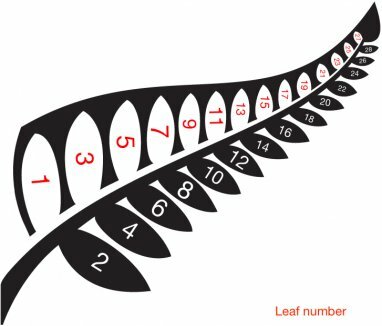 A flag featuring the fern will be carried to and displayed at the event acknowledging your support as an integral part of the team. You'll receive a high resolution photo of your name on the fern featured on each team member's board. The sport of SUP has developed greatly in recent years and is currently being considered for a spot in the Olympic Games program. As a result more teams are sending athletes to this year's World Championships than ever before. New Zealand is producing some very strong paddlers and has a strong reputation in the SUP racing world. As a nation with a proud watersports track record, we need to be in Denmark and make our presence felt with a view to secure World Championship hosting rights for New Zealand in the near future. Associate with the New Zealand SUP Team and leverage your support in your own social media and networks. Your support will be acknowledged on the NZ SUP and SUP Surf Teams' Facebook pages. When and where are the World Championships? They are scheduled for 1-10 September in Denmark with the venues being split between the capital city, Copenhagen, and the small town of Vorup on Denmarks famous surf coast known as a Cold Hawaii. What are the ISA World Championships? The ISA World StandUp Paddle and Paddleboard Championship (WSUPPC) is an ISA World Championship that features a number of disciplines - SUP Surfing, SUP Racing Technical, SUP Racing Distance and Paddleboard Racing Technical and Distance. Within the SUP Racing and Paddleboard disciplines, athletes will be competing in up to three events including the technical, distance, sprint races and SUP surfing. The competition crowns one Gold Medal National Team. What is the ISA (International Surfing Association)? The International Surfing Association (ISA) is recognised by the International Olympic Committee (IOC) as the World Governing Authority for Surfing, StandUp Paddle (SUP) Surfing and Racing, and all other wave riding activities. Who are we competing on behalf of? Ultimately for New Zealand and the sport of SUP in New Zealand...so the team are racing for you and the pride of wearing the silver fern. New Zealand SUP (NZ SUP) that organises the national race championships and teams for international events, oversees SUP schools and instruction, and campaigns on behalf of all paddle boarders in New Zealand on matters of safety among other aspects liaising with other governing bodies. Surfing New Zealand that selects a New Zealand Stand Up Paddle and Paddle board Team annually. The team competes at the International Surfing Association (ISA) World Stand Up Paddle and Paddle board Championship. The World Stand Up Paddle and Paddle board Championship is an IOC (International Olympic Committee) recognised event which attracts approximately 150 paddlers from over 20 countries. Paddlers compete for both individual and team medals. Sunday February 1, 1970 at 12:00PM. Sports Investment Opportunities for Accredited Investors.